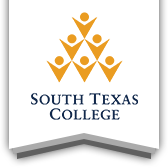 The Alumni & Friends Association develops relationships and establishes lifelong connections between South Texas College and its former and current students, leading to increased support for the institution'’'s mission and goals. The association also reaches out to community members, who are "friends" of the college. It promotes a variety of networks and resources, and offers opportunities to grow professionally and socially. For more information, call 956-872-8302.